• Highly accurate Quartz movement. • Vinyl available in 20+ matte colours. • 1x AA batteries required. Modern wall stickers are the latest trend in interior design, down to their ease of use and amazing results. 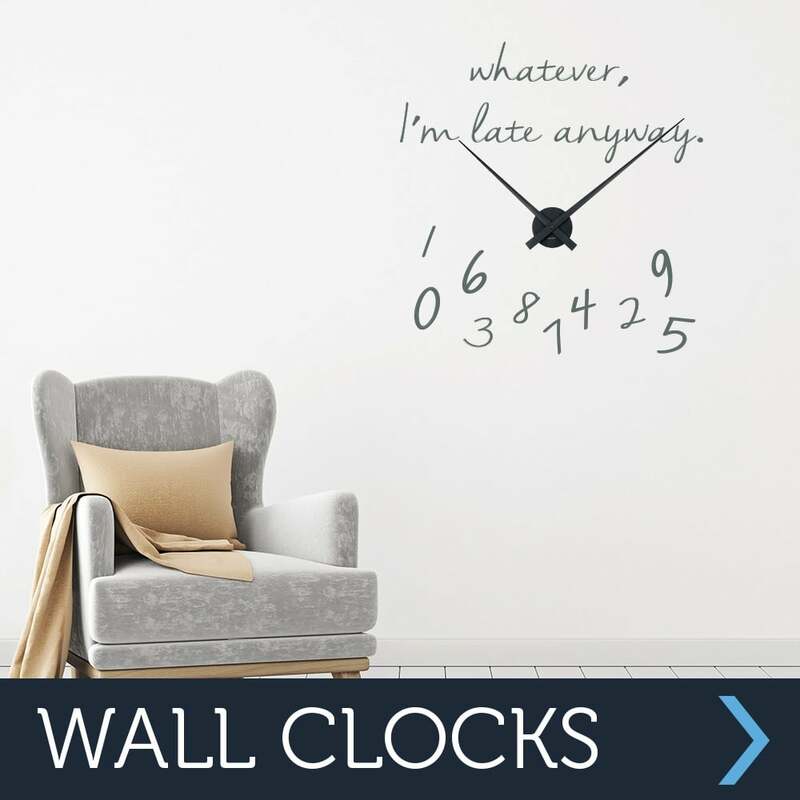 Wall Chimp wall clocks come supplied with fully functioning, black, Karlsson little big time aluminium wall clock mechanism, available in two sizes. The clock display is made entirely of vinyl and creates amazing results, being easy to install and remove, allows you to change the surround keeping the clock mechanism in place. Wall Chimp use only the highest grade, premium vinyl, designed in Germany specifically for the use on wall art. Our products can also be used on plaster, tiles, plastics, glass, metal and any other grease-free surfaces.The polyacrylate adhesive which backs the vinyl is the key to their easy removal as it leaves no residue or damage to the surface they are applied to.